Outsource2india offers a gamut of services	for small, medium & large organizations. Outsourcing is a hot topic in the USA today. Even with millions of jobs being outsourced, and cost savings amounting to billions of dollars, there is still no clear outcome on whether outsourcing has been accepted by the general populace or not. 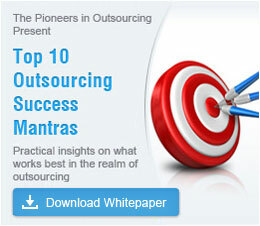 Till date, outsourcing is a frightening proposition to many people. But still, its overall effect on the American economy cannot be ignored. Outsourcing has enabled organizations across both public and private sectors to achieve their business objectives faster and focus on their core competencies while mitigating business risks and adding value to their offerings. The global market size of outsourced services touched 104.6 billion US dollars in 2014, with the US accounting for almost 60% of the outsourced services. With the number of employers joining the outsourcing bandwagon by the day, Asian countries, and especially India, have seen their economies soar because of the value proposition they offer. 59% of the world's employers now employ Indian workers, and 22% of the US companies who have never outsourced before say they have plans to move at least some segments of their business offshore to India. At O2I, we have been at the forefront of providing value-added outsourcing services to the USA and other countries, helping our clients improve processes, reduce workload, and more importantly, save millions of dollars in costs. Whether your requirement is to fulfill day-to-day administrative tasks, provide support during transition periods, receive expert consultation, or to attain an improved, streamlined workflow - we can help. Core Business Process Support: Our professionals with their relevant experience and core competencies help to improve your processes - be it in IT, Healthcare, Creative, Mortgage, etc. 1. Service Outsourcing for Atlanta: With various fortune 500 companies situated out of this state, including The Coca-Cola Company, Delta Airline, Home Depot, etc., there is an express requirement for BPO services in this state. We have provided our Call Center Services to many companies based out of Atlanta. 2. Service Outsourcing for Arizona: With an economy greater than countries such as Ireland, New Zealand, etc., the state of Arizona is a business hub for many Engineering and Healthcare services. We have provided exceptional Engineering and Analysis Services to our clients in Arizona. 3. Service Outsourcing for Dallas: With Dallas-Fort Worth MSA consisting of a large number of corporate headquarters for publicly traded companies, we have provided our exceptional bookkeeping as well as finance and accounting services to many companies in the region. 4. Service Outsourcing for Houston: Houston is world famous when it comes to its energy industry as well as aeronautics and biomedical research. We have partnered with many companies in the region for our outsourcing services. 5. Service Outsourcing for Kansas: We have provided our IT, Call Center and other BPO services to many organizations in this Aerospace and Agriculture dominated state. 6. Service Outsourcing for Las Vegas: Although a state dominated by its tourism industry, we have partnered with quite a few multinational organizations based out of the state to provide impeccable and large-scale accounting and finance services. 7. Service Outsourcing for Los Angeles: As a center of entertainment and the home of Hollywood, LA has various companies who have partnered with us for our media editing, transcription, and software development services. 8. Service Outsourcing for New York: New York City is termed by many as the financial center of the world, and Outsource2india has worked with several companies based out of NYC to provide exceptional IT and ITES services. 9. Service Outsourcing for New Jersey: We have provided our healthcare and IT services to many companies based out of this affluent and economically stable state. 10. Service Outsourcing for San Antonio: With an economy primarily focused on Healthcare, Financial services, Military, Civil services, etc., we have worked with clients belonging to different industry verticals to provide them with our wide array of services. 11. 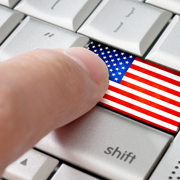 Service Outsourcing for Washington: The seat of power in the United States also has a bustling economy to be proud of. We have partnered with organizations belonging to engineering, aeronautics and IT within the state, amongst others. State-of-art Data Security: Our services guarantee complete information security and confidentiality and feature world-class multi-tier redundancies and backup systems. All this is governed by strict NDAs and adherence to ISO:27001 - ISMS standards. As a partner-of-choice, your long-term success is the motivation behind our work. This means that we are ready to meet any and all challenges, while capitalizing on the opportunities which come up, in order to ensure that your project always receives the attention and care it deserves. This is our promise to all our clients, both large and small. By helping you set the right goals and then ramping them up so as to meet your business targets, we lay down a rock-solid foundation upon which our partnership can then flourish. Contact us at Outsource2india and maximize your investments while receiving access to world-class BPO services. Would you be interested in talking to us about your requirements? Decide in 24 hours whether outsourcing will work for you. We respect your privacy. Our Policy. Would you be interested in reading more? Outsourcing does have its share of drawbacks too. Read more about them here. Keep up with the latest news in the world of outsourcing. Why outsourcing to India is good for business? Want to make your business productive, efficient and profitable? Outsourcing can help you achieve all this and more. Will outsourcing work for you? Know in 24 hours!